La Rambla (where Arc La Rambla Hotel is located) is the most famous street in Barcelona, one of its main arteries and a must visit spot for any newcomer in the city. You can start by admiring the Mirador de Colón, next to the port. A wonderful sculptural ensemble dedicated to Christopher Columbus (who chose the port of Barcelona to disembark after his journey through America) that includes a viewpoint from which you’ll be able to contemplate Barcelona at 60 meters high. 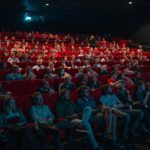 From there you can start an exciting tour in which you will find beautiful kiosks of flowers and local products, ice cream parlours, centennial shops, souvenir shops, street artists and an incessant wave of people that fills the street with life. If you get hungry along the way you can regain strength at the Mercat de la Boqueria, one of the most important gastronomic markets in Europe. In its more than 300 stalls you will find everything from typical Catalan products to the most select and exotic delicacies from different parts of the world. If you feel like eating right there, La Boqueria has excellent restaurants and food stalls where you can taste tapas and dishes made with fresh products from the same market. Not far from there you will find the beautiful Teatre del Liceu and the Plaza Real, a neoclassical jewel in which nineteenth-century buildings and traditional shops coexist with restaurants, cafés, shops and nightlife places ideal for relaxing and having a drink. Known as La Manzana de la Discordia (Block of Discord), located between Aragó and Consell de Cent streets, brings together in a single façade three of the top works by the main architects of Catalan modernism: the Lleó Morera House (work by Lluís Domènech i Montaner), the Ametller House (by Joan Puig i Cadafalch) and the Batlló House (by Antoni Gaudí). Three buildings that have competed in beauty since its construction (the nickname of Block of Discord arose from the healthy rivalry that existed between its creators) and that, together, form an authentic open-air architectural museum in the heart of Barcelona. 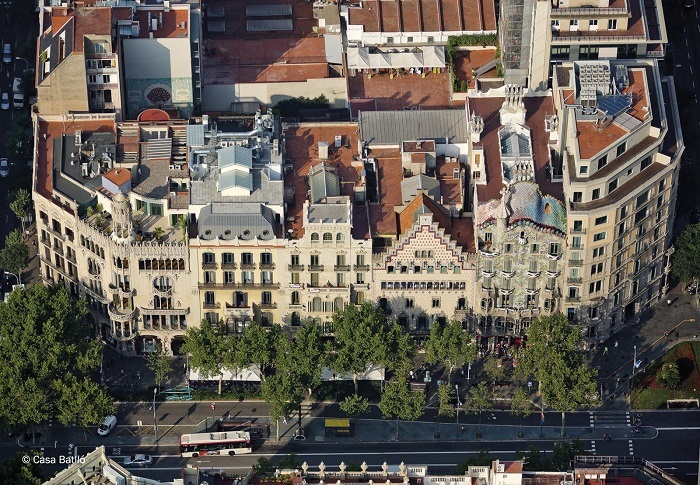 In addition, the visit to La Manzana de la Disordia will also allow you to visit Passeig de Gràcia, one of the main shopping centres in Barcelona. 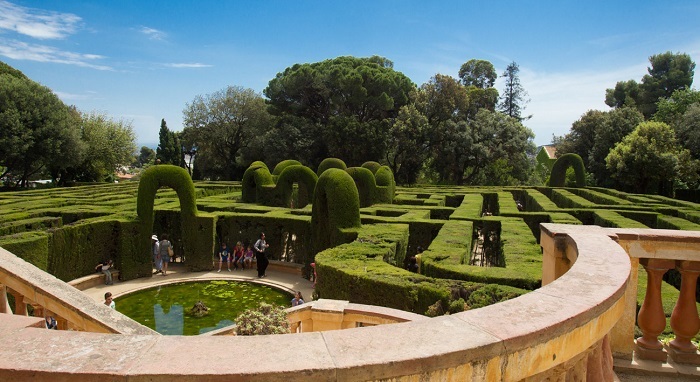 The park of the Laberint d’ Horta stands out for the beauty of the 18th century garden that gives its name to the park, the oldest conserved in Barcelona. Born as a neoclassical garden to later become romantic, its exceptional design and the beauty of its details turn the maze into an architectural wonder in which losing yourself can be a real pleasure. As a curiosity, the Laberint d’ Horta was the setting for the film “The Perfume”. 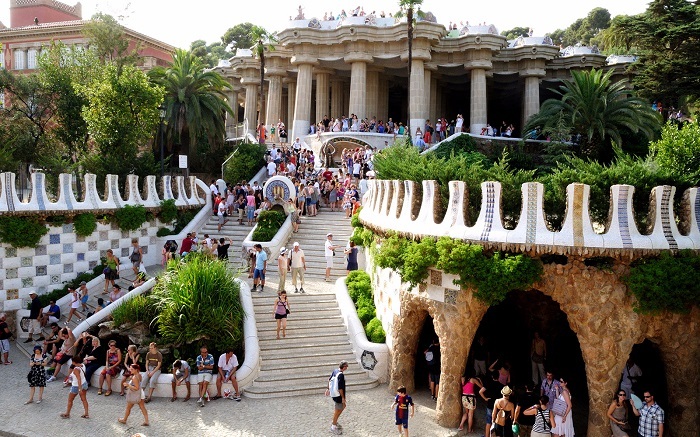 As you enter Park Güell, declared a World Heritage Site in 1984, you’ll find yourself living in a fairy tale thanks to its incredible set of terraces, mosaics and sculptures that perfectly integrate architecture and nature. Gaudí’s masterpiece and the greatest exponent of Catalan modernism, La Sagrada Familia is the most visited monument in Spain and one of the most visited in Europe. The building represents the symbols of the Christian faith through its three monumental façades, which symbolize the three culminating moments of the life of Jesus Christ: his birth (street Marina), his passion, death and resurrection (street Sardenya), and his glory (street Mallorca). All of them incorporate precious sculptural ensembles in which the main passages of his life are recreated: the kiss of Judas, the last supper, The Judgment of Jesus, the Ecce Homo, etc. Currently, 8 of the 18 towers designed by Gaudí are finished. The architect decided that twelve of them should be dedicated to the Apostles, four to the Evangelists, one to Mary and one to Jesus. Each one of them will have different heights depending on the religious importance (the one dedicated to Jesus Christ will reach 175 meters high). For its part, for the interior of the basilica the Catalan genius was inspired by the shapes of nature to design huge columns in the form of tree trunks that make it an exuberant forest of stone. 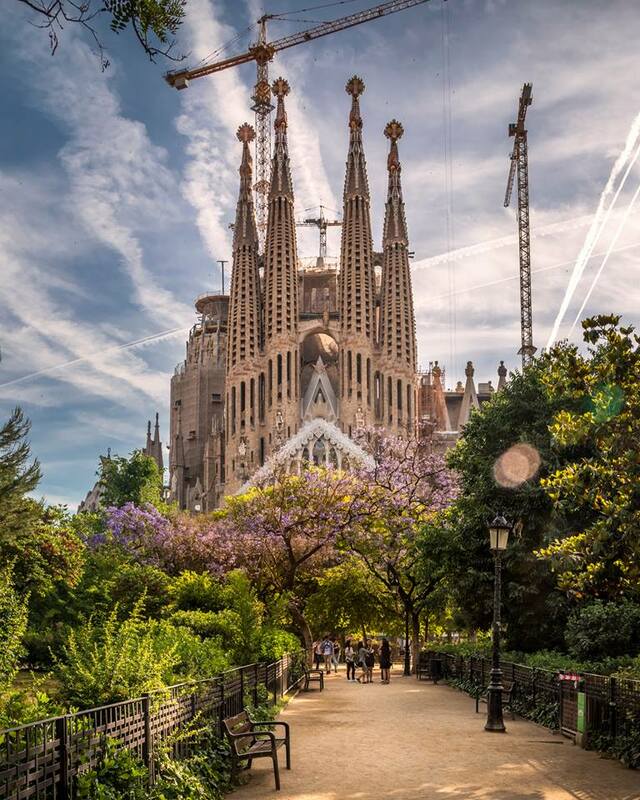 After more than a century under construction (the works began in 1882), it is expected that the great icon of Barcelona will be finished in 2026, coinciding with the centenary of Gaudí’s death. Casa Batlló is much more than just architecture… It’s pure fantasy. In 1904 Gaudí transformed a modest building into one of his most impressive and admired creations (declared a Unesco World Heritage Site in 2005), in which its wavy shapes, bluish tones and polychrome windows stand out. The building symbolises the battle of Sant Jordi, patron saint of Catalonia, against the dragon (representation of evil). 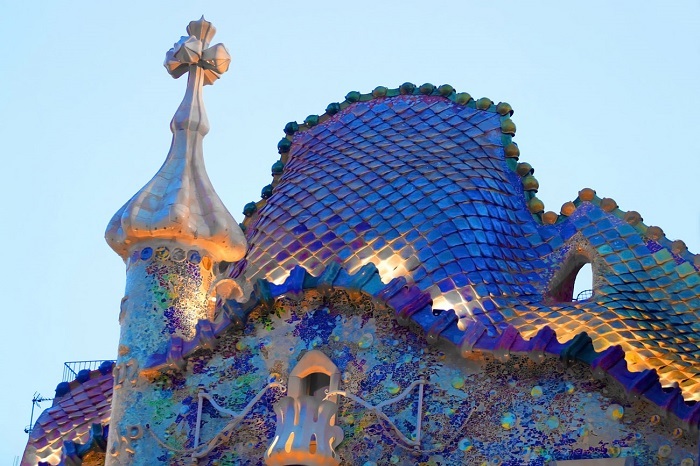 On the roof, the dragon’s back is represented by tiles of different colours in the form of scales, crossed by a four-armed cross evoking the sword of Sant Jordi. But not only the exterior is impressive. The beautiful interior courtyards of Casa Batlló evoke the depths of the sea thanks to the details of the ventilation system and Gaudí’s incredible mastery of light, colour and different decorative materials (glass, wood, iron, etc.). If you are not yet impressed by Gaudí’s legacy in Barcelona, La Pedrera (also known as Casa Milà) will make you fall in love. The six floors of the building are full of sinuous curves, impossible architectural forms and an interior decoration that, as a constant in his work, recreates the forms of nature. But if anything stands out in La Pedrera is its spectacular rooftop, where chimneys in the shape of sculptures of warriors form an impressive army of stone. If you are a football fan you can’t miss visiting Camp Nou, one of the temples of football in the world. 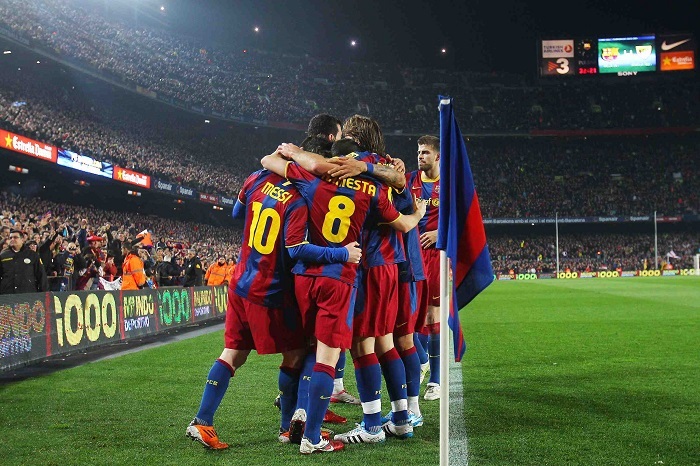 In addition to enjoying the way Messi, Iniesta and Suarez play and the spectacular atmosphere of each match, the Camp Nou Experience will take you through the most emblematic spots of the stadium such as the changing rooms, the players’ tunnel, the press area, the trophy room and even the field and benches. 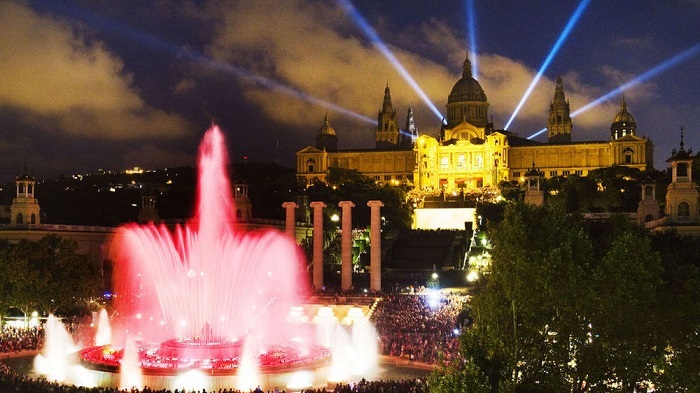 To end the day, at nightfall the Magic Fountain of Montjuïc offers a spectacle of lights, music and water that marvels hundreds of visitors every night. Of course, you have to discover Barcelona through its flavours and typical dishes. You can’t leave the city without having tasted the esqueixada, the escalibada, the calçots, the butifarra de pagès, the pa amb tomaquet, the panellets and a long list of local gastronomy wonders. 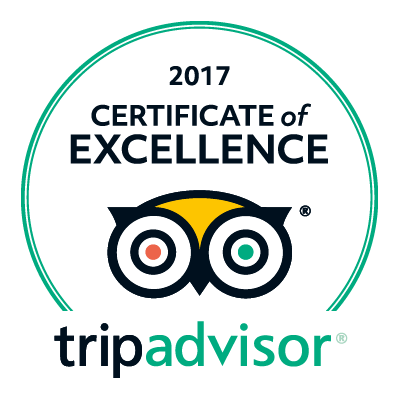 So that you can enjoy at its most, here is a list of the best Catalan restaurants in Barcelona. Getting lost in the old town of Barcelona is one of the greatest pleasures that you can enjoy in the city. As you stroll through its charming and narrow streets you will discover special places as the church of Santa María del Pi, the Plaza de San Felipe Neri, the Plaça de Sant Jaume (which houses the headquarters of Barcelona City Council and the Catalan government) and, above all, the cathedral of Barcelona, one of the best examples of Catalan Gothic architecture of the fifteenth century. Not far away you will find the Born district, one of the most charming districts in Barcelona. 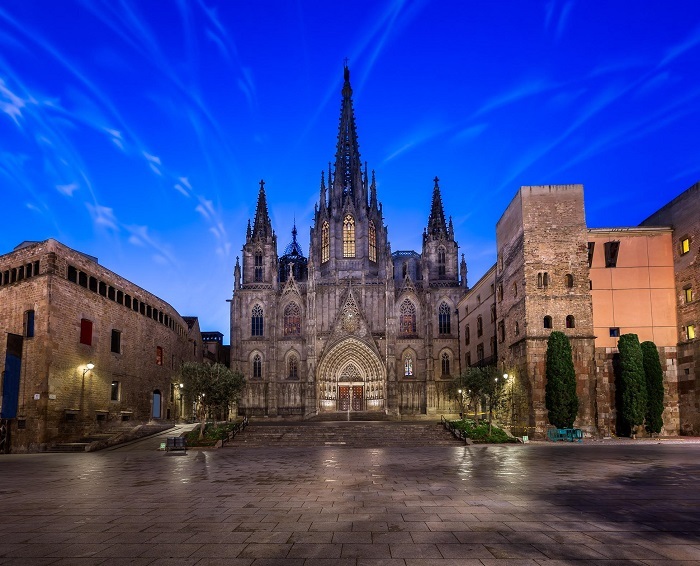 Among its hundreds of restaurants of all kinds and vintage shops you can find the elegant basilica of Santa María del Mar, the spectacular Palau de la Música Catalana and the Picasso Museum, which houses a collection of more than 4,000 works by the Malagan artist. 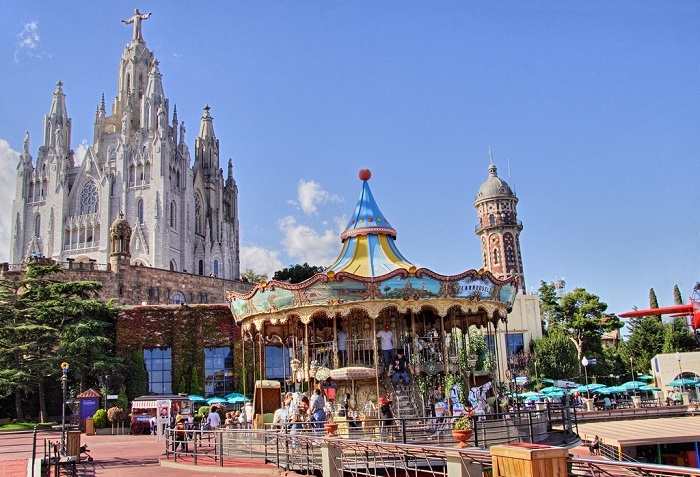 Despite being one of the oldest amusement parks in Europe, Tibidabo is still in great shape thanks to its fun attractions designed for the whole family and the wonderful panoramic views of the city that can be seen from all over the enclosure. In addition, you can enjoy extra entertainment by climbing up to the park with the funicular. With the imposing Arc del Triomf presiding over the entrance, Ciutadella is an oasis in the heart of Barcelona with large wooded areas, gardens and a lake in which you can take a boat trip. 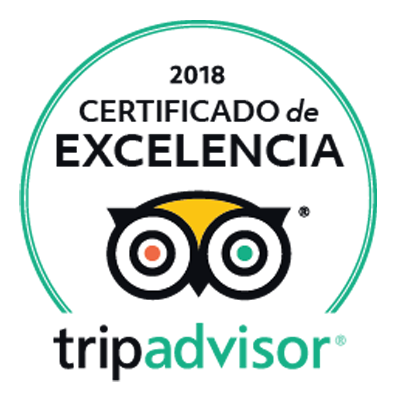 Also, you can admire a large number of sculptures, monuments and other artistic pieces such as the famous life-size stone mammoth, the Castell dels Tres Dragons de Domènech i Montaner, a monumental waterfall (in whose design Gaudí also participated) or the Umbracle and l’Hivernacle for botanical lovers. The park was the setting for the Universal Exhibition held in Barcelona in 1888 and currently houses the zoo and the Parliament of Catalonia. 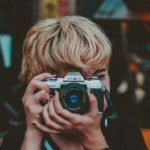 We have provided you with a list of the essential activities you should do in Barcelona when you visit it for the first time, but there are many more. Check them in our agenda and do not hesitate to ask our staff if you need further information. We’re waiting for you!